Carlisle Pharmacy has been a local community staple for over 40 years, faithfully serving the healthcare and pharmacy needs of Carlisle and the surrounding areas. At Carlisle Pharmacy, we make sure to provide you with the best possible care in the most efficient and convenient manner. Whether you need a prescription filled, pharmacist advice for you or your family, or are simply picking up some cold medications, Carlisle Pharmacy has you covered. Carlisle and the surrounding neighbourhood is a wonderful place for raising a family or simply retiring and kicking back during your golden years. However, as many may know, sometimes you may have to drive quite a bit to shop for some basic needs. You may find yourself driving more than 20 miles into town just to get your medications filled. You may be elderly and can’t drive too far to pick up your medications or you may be a parent rushing into town to pick up cold medications for your child. Well, Carlisle Pharmacy can help with that. We are conveniently located for all residents of Carlisle and the surrounding area. Furthermore, we offer free delivery throughout our service area. Call us to see what we can do for you. At Carlisle Pharmacy, we accept EVERYONE with our open door, walk-in policy. You DO NOT need to be registered at the clinic to use our pharmacy and services. Visit our pharmacy in Carlisle today. Let our pharmacy provide you with pill packaging service and medication reviews. Use our convenient online forms to refill or transfer your prescription at our pharmacy. Get proper care for your feet and legs with compression stockings and diabetic socks. 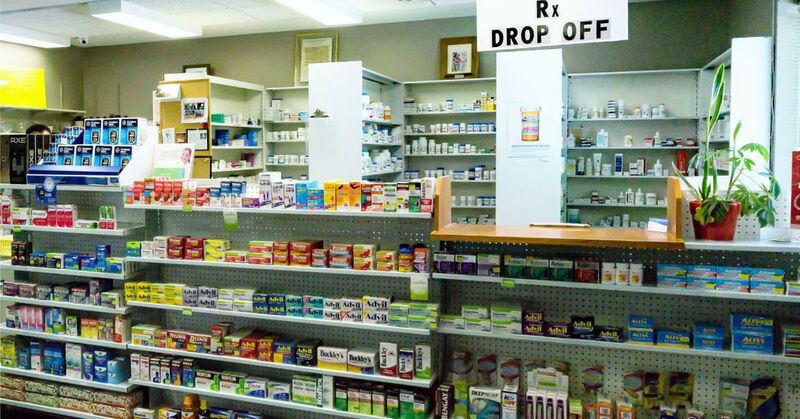 Can’t make it to our pharmacy?Request free deliveries to Carlisle and the surrounding areas!